In 2013, four defendants were convicted in the U.S. District Court for the Southern District of New York for engaging in a scheme to defraud the United States Railroad Retirement Board (“RRB”) by submitting falsified medical records in support of pension disability applications available to employees of the Long Island Rail Road (“LIRR”). Two of the defendants—Rutigliano and Baran—are former LIRR employees who submitted to the RRB false pension applications accompanied by fabricated medical documents and/or facilitated the submission of false applications by fellow employees, while the remaining two—Ajemian and Lesniewski—are orthopedic physicians who fabricated that medical documentation. Ajemian pleaded guilty to several counts of conspiracy to commit mail, wire, and healthcare fraud, and substantive healthcare fraud; the remaining defendants were convicted of similar charges following a jury trial. The district court sentenced defendants to five to eight years’ imprisonment and to restitution ranging from $31 million to $116 million. The court’s restitution calculations were based on the total disability pension payments made to the LIRR employees who defendants assisted in submitting fraudulent applications, as of the date the RRB terminated those pensions upon discovery of the fraud. The three defendants convicted at trial unsuccessfully challenged their convictions and sentences on direct appeal. Shortly after defendants were convicted, the RRB announced that those employees whose disability benefits had been terminated as a result of the fraud could reapply based on “current medical evidence” provided by a different physician. Before the three defendants’ direct appeals were decided, the RRB had granted some 485 of 531 reapplications for disability benefits. However, 80% of the granted reapplications relied on at least one new medical condition not included in the employee’s original fraudulent application; moreover, 70% of the granted reapplications omitted at least one medical condition that had been included in the original fraudulent application. On average, the initial fraudulent applications and the reapplications were filed more than eight years apart. After the direct appeals had concluded, all four defendants filed collateral challenges to their prison sentences and restitution orders under 28 U.S.C. § 2255, arguing that their sentences were based on erroneously high loss calculations. The district court denied the motions as to the incarceratory components of defendants’ sentences as prison terms may be determined by the loss a defendant intends to inflict; however, because restitution must be limited to actual loss, the court reduced defendants’ restitution obligations by the amounts of all pre-termination benefits paid to those employees whose disability reapplications the RRB later granted. The district court’s ruling reduced the initially ordered restitution amounts by approximately 50%—still leaving the defendants facing millions of dollars in restitution, but a marked reduction from the original amounts imposed by the district court. All parties appealed the ruling as to defendants’ restitution orders. Defendants contended that their restitution obligations should have been entirely vacated based on the high percentage of disability reapplications granted by the RRB, while the Government contended that § 2255 did not authorize the district court to alter the restitution amounts or, in the alternative, that the facts did not warrant any reduction in restitution. A panel of the Second Circuit determined that the Government had the better of the argument. Section 2255, which provides federal prisoners the right to seek habeas corpus relief, requires that a prisoner be “in custody” in order to mount a collateral attack to his sentence. While defendants were unquestionably “in custody” with respect to the incarceratory elements of their sentences as they were serving their terms of imprisonment at the time they filed their § 2255 motions, the panel analyzed defendants’ challenges to their restitution orders separately to determine whether those orders constituted custodial punishment. Citing the Court’s 2003 decision, Kaminski v. United States, 339 F.3d 84, 86-87 (2d Cir. 2003), the panel explained that “the monetary components of criminal sentences, such as fines and restitution orders, generally do not restrict liberty so severely as to satisfy the custody requirement of § 2255.” While the panel declined to adopt a bright-line rule that a restitution order could never impose such a severe restraint on individual liberty as to rise to the level of a custodial punishment, the panel emphasized that such a situation would be very rare. Moreover, whether a restitution order equates to custody depends not only on the amount of restitution ordered but also on the payment terms and schedule. In Kaminski, the district court had limited defendant’s restitution payments to 10% of his monthly income, which the Second Circuit found did “not come close to” rendering the restitution order custodial. 339 F. 3d at 87. (In Kaminski, the restitution amount was $21,180—to be sure, much less than the amounts at issue in this appeal.) Here, the district court’s judgments did not contain any payment terms; rather, the court deferred its determination of payment schedules until defendants’ release from prison. The district court indicated that, at that time, it would likely adopt the Probation Office’s recommended payment schedules, which for at least one of the four defendants was described as “monthly installments of 10% of gross monthly income”—the very payment terms endorsed in Kaminski. Because the payment schedules and terms had not yet been established, and because the record provided ample evidence that those terms ultimately would be set in a reasonable manner, the panel concluded that defendants’ challenges to their restitution orders were not cognizable under § 2255. The district court therefore lacked jurisdiction to reduce defendants’ restitution obligations. One defendant (Baran) argued for relief from restitution on an alternative ground, seeking a writ of error coram nobis pursuant to 28 U.S.C. § 1651. This “extraordinary remedy” typically is invoked to provide relief to individuals who have been released from custody and to whom habeas relief is therefore no longer available. The panel questioned whether a writ of coram nobis is available, in principle, to provide collateral relief from a restitution order. However, even assuming the availability of that remedy, the panel explained that Baran would be required to demonstrate that the challenged restitution order contained a “fundamental error.” Such error was lacking here. The panel was unpersuaded by Baran’s argument that the RRB suffered no actual loss given the high rate of disability reapplication approvals. The panel emphasized that the reapprovals in no way indicated that the original, falsified applications—the majority of which were filed eight or more years prior and contained a different set of medical conditions—would have been approved but for defendants’ fraud. The initial applications were fraudulent and, had the RRB known them to be fraudulent, it would not have made the corresponding disability pension payments. Thus, the pre-termination benefit payments represented an actual loss to the RRB, regardless of the RRB’s determination as to the subsequent reapplications. It is hard to disagree with the Court’s decision here, even though it limits the ability of district courts to undo erroneous restitution awards. It is also hard to see how even these harsh restitution orders are “custodial” to the degree required by Kaminski, although the Court’s decision to continue to leave the door open for a hypothetical case in which a restitution award would be the equivalent of a custodial sentence is somewhat more liberal than the rule followed in several of its sister circuits. The First, Fifth, Seventh, Eighth, Ninth, and Eleventh Circuits have all established a categorical rule that a restitution order does not impose the “severe restraint on individual liberty or the imminent threat of such a restraint,” Vega v. Schneiderman, 861 F.3d 72, 74 (2d Cir. 2017), to amount to a custodial punishment required by § 2255. In declining to establish such a bright-line rule, the panel here cited two situations in which non-incarceratory punishments have been deemed custodial for the purposes of § 2255. First, the panel noted that parole—which requires a defendant to attend meetings with a parole officer and often allows unannounced searches of the defendant’s residence and person—is a sufficiently severe restraint to render that defendant in the state’s “custody.” See Jones v. Cunningham, 371 U.S. 236, 243 (1963). Similarly, a sentence of conditional discharge may also be deemed custodial where it requires a defendant’s “physical presence at particular times and locations, both for community service and court appearances.” Nowakowski v. New York, 835 F. 3d 210, 217 (2d Cir. 2016). However, these examples are distinguishable from a restitution order, which imposes no physical constraints whatsoever on a defendant. While a defendant may be incarcerated as a penalty for refusal to pay required restitution, this would occur only in the event of a defendant’s willful failure to pay despite having the means to do so. Imprisonment for such an offense is little different from holding a civil defendant in contempt of court for refusal to satisfy a judgment, which can also result in prison time and for which there is undoubtedly no § 2255 relief. In short, 28 U.S.C. §§ 2255 and 2241 (habeas for state prisoners) provide an additional procedural safeguard to a narrowly circumscribed and particularly vulnerable set of individuals—those whose physical liberty is currently deprived by the criminal justice system. Several circuits have held that this safeguard is categorically unavailable to challenge monetary penalties. On one hand, by holding out the possibility that some defendants may be able to challenge restitution orders in a habeas proceeding, the Second Circuit is leaving itself an escape hatch for the yet-to-come case in which the financial penalty is exceedingly unfair. 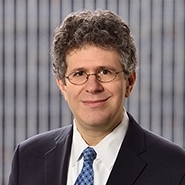 On the other hand, given the infrequency with which the Circuit is likely to grant such relief, defendants should not take false hope in the idea that their case could be “the one.” In practice, the Second Circuit’s rule will not be much different for defendants from the rule in the other Circuits.